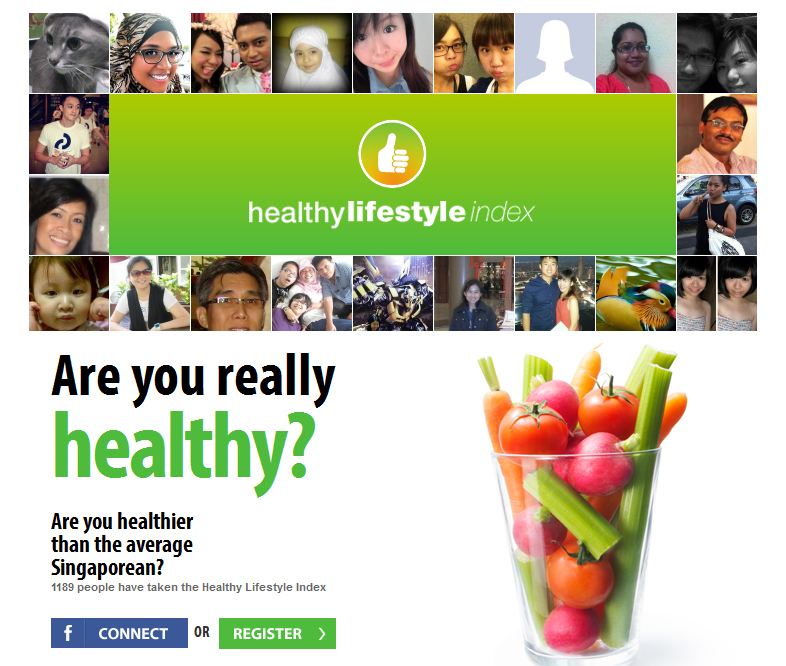 A few days ago, I signed up for a website to 'test' my healthy lifestyle index compared to my boyfriend's. As I was filling up the form, my boyfriend stared at me with disbelief as he saw me 'ticking' the 'I want to receive the latest health tips' box on the form. He asked curiously, "Are you sure about that? It's newsletter you know?". I replied him with a smug, "Where do you think I got all my latest information from?". I'm someone who don't mind receiving newsletters from sources that I'm personally interested in. However, the email I used for such 'accounts' and newsletters will not be the same one I used for official purposes, e.g. 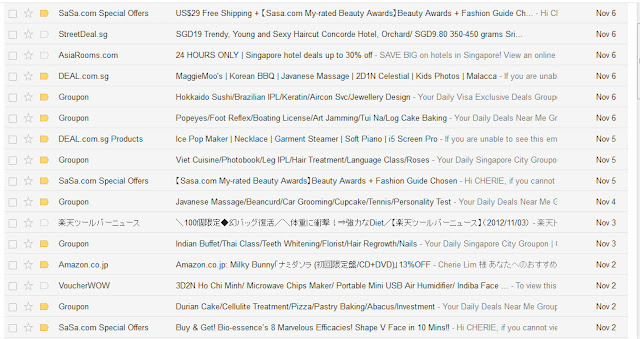 personal emails or blog's email. I would use one that I would check everyday(because I don't need to reply them) but just for that purpose. This is to ensure that my 'important' emails won't get washed-away. All my emails are preset on my phone and I do check them once I have the time to do so. Most likely once in two to three days. I don't reply certain emails that requires me to do some research on the subject immediately. I might take up to weeks to think of what to write back. I love reading newsletters because I can receive the latest health tips or even latest promotions in town. It's the most eco-friendly way to subscribe to newletter via emails. Such newsletters enables us to stay up-to-date. This is so that we will not have to go around to ask, "Omg, how did you know about this?" Well, I do have friends that find newsletters annoying. They think that it spams their email. It might be due to them using single email account for almost every-use, though. It is important to only subscribe to newsletters that you are personally interested in. If you subscribe to practically everything, you would get really annoyed by such information sent to you. 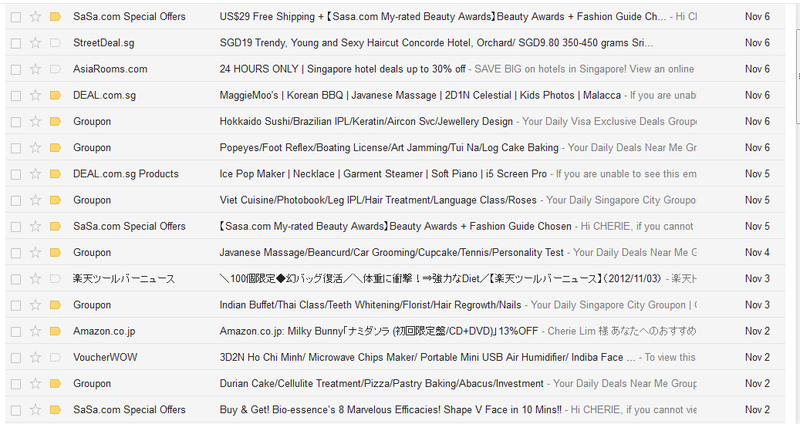 I would usually subscribe to healthy-living, weight-management, groupon and etc. I also subscribed to cosmetic brands to get latest news on new cosmetic products, or I would even subscribe to Singapore online stores to see what are the latest products that are brought here (onlinestore is usually faster than retails). It's relatively random for me to write this post today, haha. I hope that you guys find this useful though!